Barack Obama - Narcissist or Merely Narcissistic? Barack Obama: Narcissist or Merely Narcissistic? Barack Obama appears to be a narcissist. Scroll down for a detailed treatment. Click here to read the section: “First Year in Office”. Obama's early life was decidedly chaotic and replete with traumatic and mentally bruising dislocations. Mixed-race marriages were even less common then. His parents went through a divorce when he was an infant (two years old). Obama saw his father only once again, before he died in a car accident. Then, his mother re-married and Obama had to relocate to Indonesia: a foreign land with a radically foreign culture, to be raised by a step-father. At the age of ten, he was whisked off to live with his maternal (white) grandparents. He saw his mother only intermittently in the following few years and then she vanished from his life in 1979. She died of cancer in 1995. Narcissism is a defense mechanism whose role is to deflect hurt and trauma from the victim's "True Self" into a "False Self" which is omnipotent, invulnerable, and omniscient. This False Self is then used by the narcissist to garner narcissistic supply from his human environment. Narcissistic supply is any form of attention, both positive and negative and it is instrumental in the regulation of the narcissist's labile sense of self-worth. An important distinction is between cerebral and somatic narcissists. The cerebrals derive their Narcissistic Supply from their intelligence or academic achievements and the somatics derive their Narcissistic Supply from their physique, exercise, physical or sexual prowess and romantic or physical "conquests". Subtly misrepresents facts and expediently and opportunistically shifts positions, views, opinions, and "ideals" (e.g., about campaign finance, re-districting). These flip-flops do not cause him overt distress and are ego-syntonic (he feels justified in acting this way). Alternatively, refuses to commit to a standpoint and, in the process, evidences a lack of empathy. Ignores data that conflict with his fantasy world, or with his inflated and grandiose self-image. This has to do with magical thinking. Obama already sees himself as president because he is firmly convinced that his dreams, thoughts, and wishes affect reality. Additionally, he denies the gap between his fantasies and his modest or limited real-life achievements (for instance, in 12 years of academic career, he hasn't published a single scholarly paper or book). Has a messianic-cosmic vision of himself and his life and his "mission". Consequently, sets unrealistic goals within unrealistic timeframes. Displays false modesty and unctuous "folksiness" but unable to sustain these behaviors (the persona, or mask) for long. It slips and the true Obama is revealed: haughty, aloof, distant, and disdainful of simple folk and their lives. Narcissists are an elusive breed, hard to spot, harder to pinpoint, impossible to capture. Even an experienced mental health diagnostician with unmitigated access to the record and to the person examined would find it fiendishly difficult to determine with any degree of certainty whether someone suffers from a full-fledged Narcissistic Personality Disorder – or merely possesses narcissistic traits, a narcissistic style, a personality structure ("character"), or a narcissistic "overlay" superimposed on another mental health problem. Moreover, it is important to distinguish between traits and behavior patterns that are independent of the patient's cultural-social context (i.e., which are inherent, or idiosyncratic) – and reactive patterns, or conformity to cultural and social morals and norms. Reactions to severe life crises or circumstances are also often characterized by transient pathological narcissism, for instance (Ronningstam and Gunderson, 1996). But such reactions do not a narcissist make. 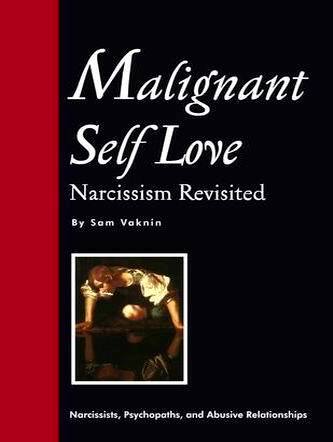 Narcissism is regarded by many scholars to be an adaptative strategy ("healthy narcissism"). It is considered pathological in the clinical sense only when it becomes a rigid personality structure replete with a series of primitive defence mechanisms (such as splitting, projection, projective identification, or intellectualization) – and when it leads to dysfunctions in one or more areas of the patient's life. But the narcissist does emit subtle, almost subliminal, signals ("presenting symptoms") even in a first or casual encounter. Compare the following list to Barack Obama's body language during his public appearances. "Haughty" body language – The narcissist adopts a physical posture which implies and exudes an air of superiority, seniority, hidden powers, mysteriousness, amused indifference, etc. Though the narcissist usually maintains sustained and piercing eye contact, he often refrains from physical proximity (he is "territorial"). The narcissist takes part in social interactions – even mere banter – condescendingly, from a position of supremacy and faux "magnanimity and largesse". But he rarely mingles socially and prefers to remain the "observer", or the "lone wolf". Entitlement markers – The narcissist immediately asks for "special treatment" of some kind. Not to wait his turn, to have a longer or a shorter therapeutic session, to talk directly to authority figures (and not to their assistants or secretaries), to be granted special payment terms, to enjoy custom tailored arrangements - or to get served first. Idealization or devaluation – The narcissist instantly idealizes or devalues his interlocutor. This depends on how the narcissist appraises the potential his converser has as a Narcissistic Supply Source. The narcissist flatters, adores, admires and applauds the "target" in an embarrassingly exaggerated and profuse manner – or sulks, abuses, and humiliates her. The "membership" posture – The narcissist always tries to "belong". Yet, at the very same time, he maintains his stance as an outsider. The narcissist seeks to be admired for his ability to integrate and ingratiate himself without investing the efforts commensurate with such an undertaking. In general, the narcissist always prefers show-off to substance. One of the most effective methods of exposing a narcissist is by trying to delve deeper. The narcissist is shallow, a pond pretending to be an ocean. He likes to think of himself as a Renaissance man, a Jack of all trades. The narcissist never admits to ignorance in any field – yet, typically, he is ignorant of them all. It is surprisingly easy to penetrate the gloss and the veneer of the narcissist's self-proclaimed omniscience. Bragging and false autobiography – The narcissist brags incessantly. His speech is peppered with "I", "my", "myself", and "mine". He describes himself as intelligent, or rich, or modest, or intuitive, or creative – but always excessively, implausibly, and extraordinarily so. The narcissist's biography sounds unusually rich and complex. His achievements – incommensurate with his age, education, or renown. Yet, his actual condition is evidently and demonstrably incompatible with his claims. Very often, the narcissist lies or his fantasies are easily discernible. He always name-drops and appropriates other people's experiences and accomplishments. In general, the narcissist is very impatient, easily bored, with strong attention deficits – unless and until he is the topic of discussion. One can publicly dissect all aspects of the intimate life of a narcissist without repercussions, providing the discourse is not "emotionally tinted". If asked to relate directly to his emotions, the narcissist intellectualizes, rationalizes, speaks about himself in the third person and in a detached "scientific" tone or composes a narrative with a fictitious character in it, suspiciously autobiographical. Narcissists like to refer to themselves in mechanical terms, as efficient automata or machines. Seriousness and sense of intrusion and coercion – The narcissist is dead serious about himself. He may possess a subtle, wry, and riotous sense of humor, scathing and cynical, but rarely is he self-deprecating. The narcissist regards himself as being on a constant mission, whose importance is cosmic and whose consequences are global. If a scientist – he is always in the throes of revolutionizing science. If a journalist – he is in the middle of the greatest story ever. If a novelist - he is on his way to a Booker or Nobel prize. This self-misperception is not amenable to light-headedness or self-effacement. The narcissist is easily hurt and insulted (narcissistic injury). Even the most innocuous remarks or acts are interpreted by him as belittling, intruding, or coercive. His time is more valuable than others' – therefore, it cannot be wasted on unimportant matters such as mere banter or going out for a walk. I am not a mental health professional. Still, I have dedicated the last 12 years to the study of personality disorders in general and the Narcissistic Personality Disorder (NPD) in particular. I have authored nine (9) books about these topics, one of which is a Barnes and Noble best-seller ("Malignant Self-love: Narcissism Revisited"). My work is widely cited in scholarly tomes and publications and in the media. My books and the content of my Web site are based on correspondence since 1996 with hundreds of people suffering from the Narcissistic Personality Disorder (narcissists) and with thousands of their family members, friends, therapists, and colleagues. Do You Recognize Obama in These Texts?